I have absolutely no idea what kind of plant this is (a decorative cabbage, perhaps? 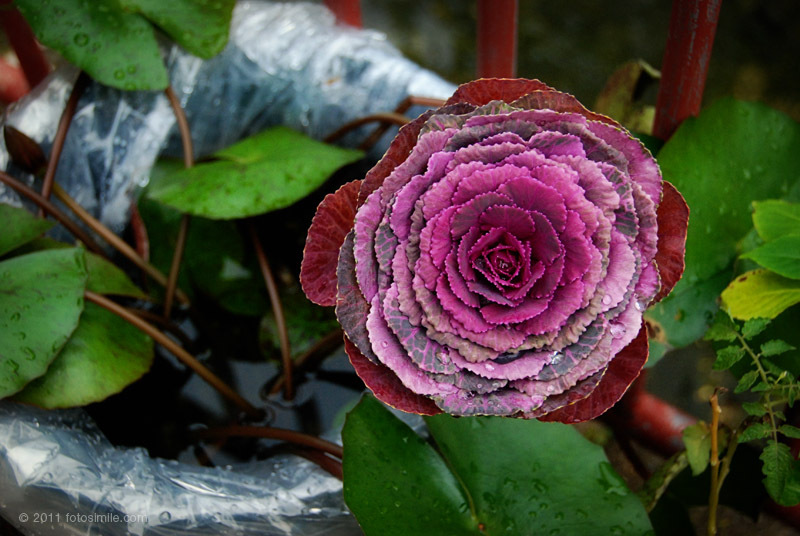 ), or if this is considered a flower—I just thought it was extremely interesting. I took this while visiting the historic Nakamura House on Okinawa in early January, 2010. The traditional structure gives a glimpse of what the residence of a rich farmer looked like on Okinawa many generations ago (supposedly dating back as far as the 1700s!). I love the textures and the colors are absolutely briliant.